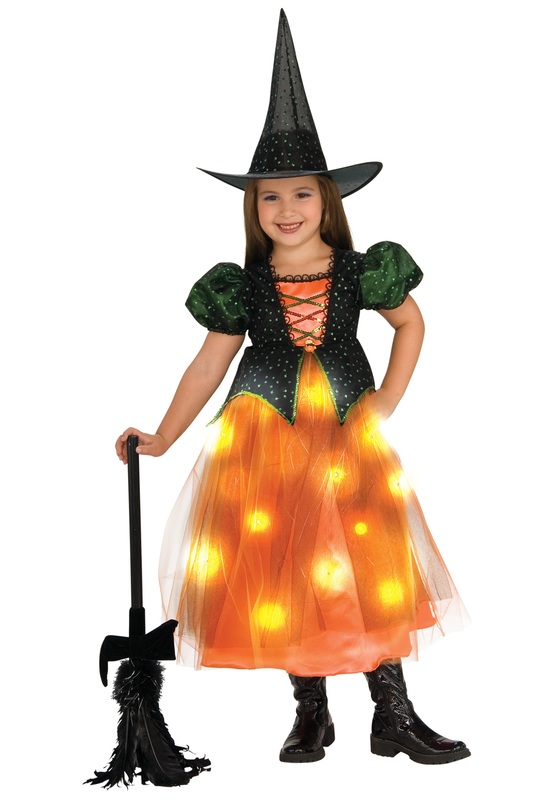 Sparkle on Halloween night in this twinkle witch costume! The child costume includes a witch dress that velcros behind the neck. The bodice is black with green sleeves and green glitter polka dots. The front has sequin mock lacing over an orange satin material. The skirt is orange with fiber optic pieces. The battery pack is sewn into the inside of the dress and can be turned on with a switch. Also included is a black witch hat with green glitter polka dots. Add our child witch broom for a complete costume!